The C400 Corpus 3G with a Low-rider version combines an innovative design with advanced technology. 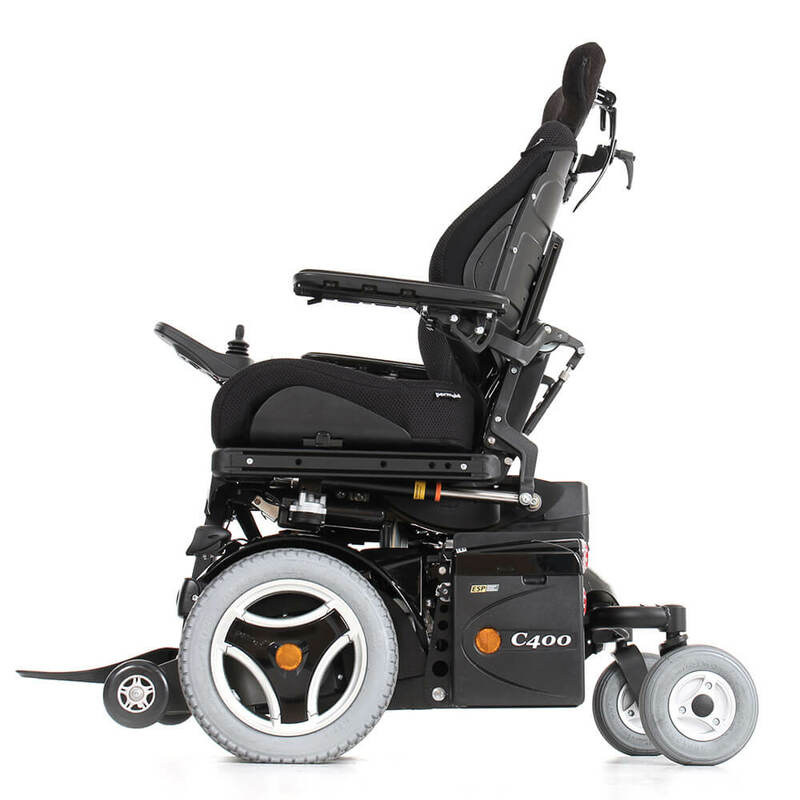 The C400 with ESP (Enhanced Steering Performance) is compact and combines great indoor maneuverability with excellent outdoor performance. 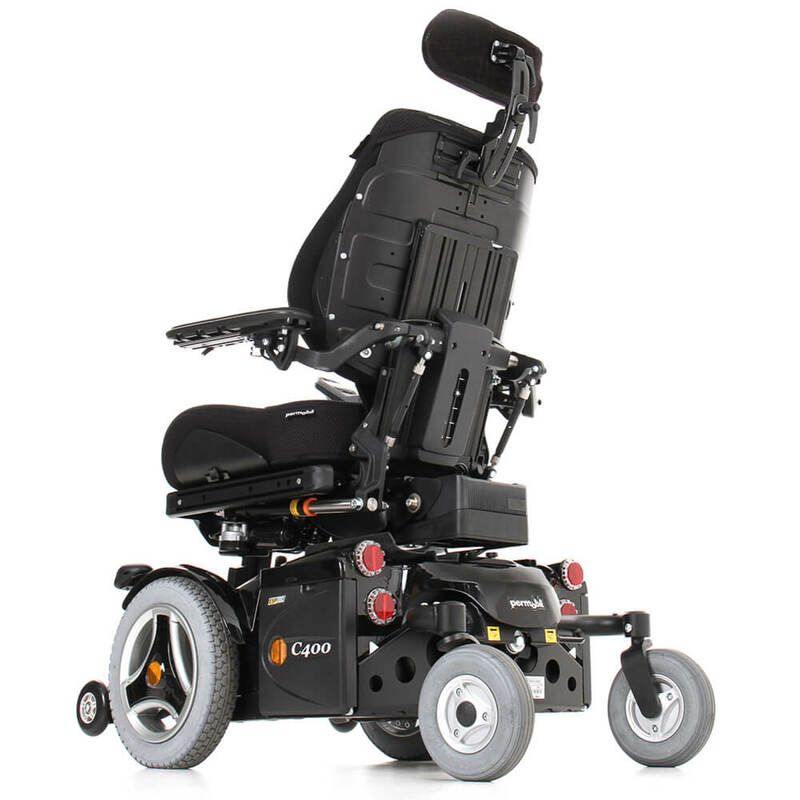 The C400 is the perfect example of Permobil’s technical ingenuity. The modular design of the Corpus 3G seating system offers improved functionality with its adjustable seat dimensions and powered settings. 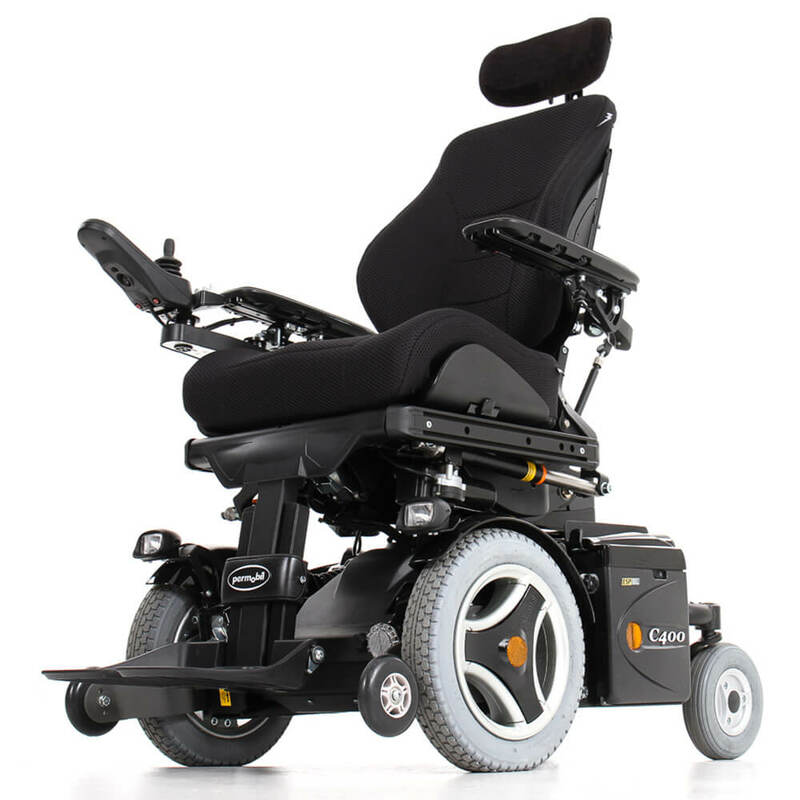 The Corpus 3G has been designed by one of the world’s leading ergonomist. The result is a seating system that is fully adapted to the natural form of the body. The Corpus 3G seating system is endlessly adaptable. The depth, width, height and angle of the various chair elements can be regulated or adjusted. The ergonomically-shaped seat and the optional powered settings make the Corpus 3G the most popular seating system in the world. 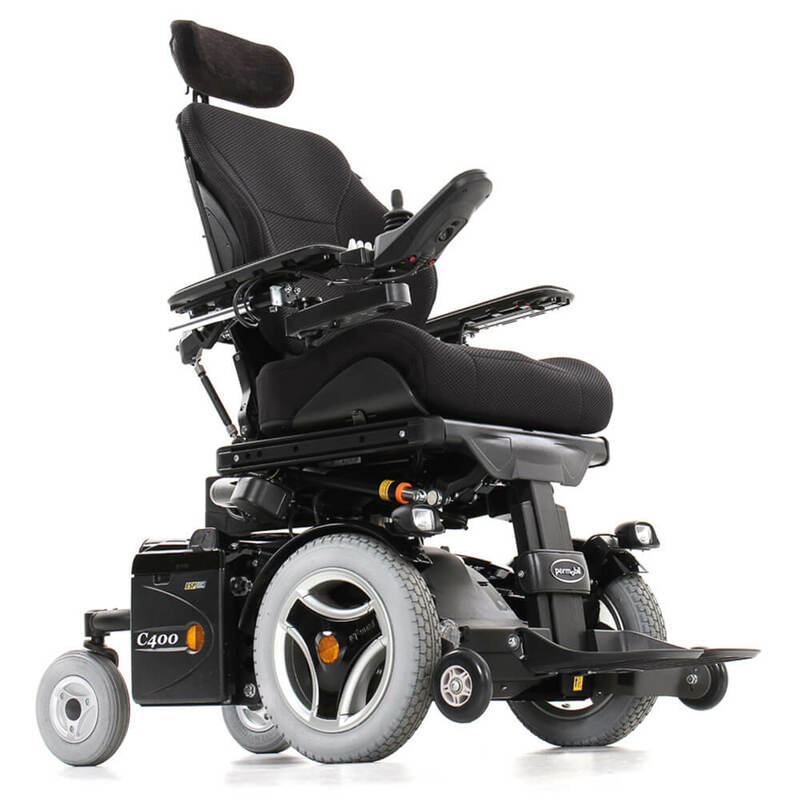 The Low-rider version has a very low seat height of 405 mm in combination with all powered functions. So it’s ideal, for example, for driving a car independently or sitting comfortably at tables of standard height. An ingenious combination of various powered settings which helps you to transfer more safely and simply. Transfer weight and pressure, improved, positioning while resting etc. Company reserves the right to change specifications without prior notice. All measurements are approximate. Images are shown for illustrative purposes only. Product may be vary. Vin Grace Company involves various equipment’s for people with special needs like wheelchairs, Indoor Stair Lifts, Outdoor Stairlifts, Curved Stairlifts, wheelchair lifts, Stairclimber, Evacuation Chairs, Ramps, Home Elevators and other Mobility products.